The record label giants announced on Thursday (09.02.17) that they signed an agreement between the late 'Purple Rain' hitmaker's estate and NPG Records Inc. - which stands for New Power Generation and was founded by Prince to release his music after Paisley Park Records was shut down by Warner Bros. Records in 1993 - which will grant UMG exclusive licensing rights to the Grammy-winning star's 25 NPG Records, his early recordings and vault of unreleased tracks. This means UMG has become the home of Prince's music publishing, merchandise and much of his recordings, and means with the permission of his heirs they will be able produce new products and experiences from the 'Kiss' singer's works. 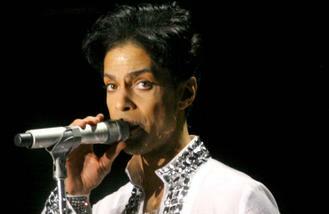 In 2018, UMG will also gain US rights to certain prize Prince albums, which were released from 1979 to 1995. In a statement - released to BANG Showbiz - Sir Lucian Grainge, Chairman and CEO of UMG, said: "Prince was one of the greatest musical talents of all time - an incomparable genius as a performer, recording artist and songwriter. It's an absolute honor to once again be selected by Prince's estate to be the home for publishing, merchandise and now for so much of his incredible body of recordings. UMG is committed to honoring Prince's legacy and vision by creating the highest quality products and experiences." Michele Anthony, Executive Vice President of UMG, added: "Prince is a music icon and his impact on culture will continue to reverberate across the world for generations to come. Having worked with Prince on-and-off for 20 years, I was fortunate to experience his incomparable passion, creativity and pursuit of perfection. It's an honor professionally and personally to be entrusted with these cherished recordings, including his storied 'vault' of unreleased music, and to partner with his estate and heirs to preserve and expand Prince's legacy." During a four-decade spanning career, Prince - who died last April at the age of 57 from a fentanyl overdose at his Paisley Park estate - sold more than 100 million albums worldwide, making him one of the most successful artists of all time. He was inducted into the Rock and Roll Hall of Fame in 2004. McMillan commented: "I am thrilled the NPG catalog and Prince's highly sought after unreleased recordings will reside with UMG, where we have found a partner who is passionate about presenting Prince's music with a holistic vision that celebrates his iconic status across recorded music, publishing and merchandise and will continue to deliver the highest quality experiences that fans have come to expect. I'm looking forward to seeing Lucian and Michele achieve great things for Prince's fans, his estate and heirs."